Anna Quan's classic 100% cotton twill shirt with extended sleeves and detachable, foldable cuffs. The shirt features a slightly oversized 'boyfriend' style fit with amazing design detailing. Anna Quan's classic 100% cotton twill shirt with extended sleeves and detachable, foldable cuffs. 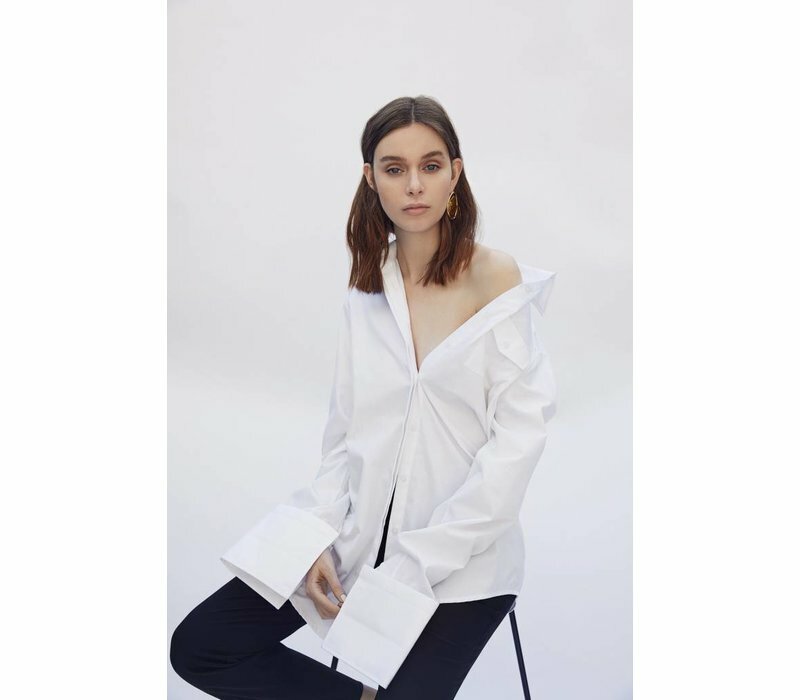 The shirt features a slightly oversized 'boyfriend' style fit with wearer's front left pocket, concealed front button opening for a nice clean minimalist look, detachable cuffs with buttonholes for a cuff-link closure, folded for a styled look or entirely detached for a relaxed feel. Fit note: we recommend going down a size for a more fitted look or stay at your true size for a slightly oversized look.